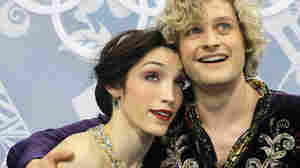 February 17, 2014  Meryl Davis and Charlie White are the first Americans to win gold in the event. They out-skated longtime rivals Tessa Virtue and Scott Moir of Canada. Russians Elena Ilinykh and Nikita Katsalapov finished third.